Jackson - Dakota Hinson didn’t just have a good day on the Mississippi River, he had a record breaking day. 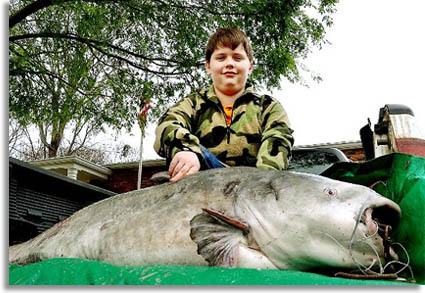 The 10-year-old Natchez resident caught a 95-pound blue catfish to beat the old state record by two pounds. The huge fish was 55 inches long and 41 inches in girth. It was caught on cut shad near Adams County.